As it's getting near "wedding season" I thought i'd show you two simple hair-dos you can do on yourself. One using the pull through braid technique and the other is a super easy pony tail. 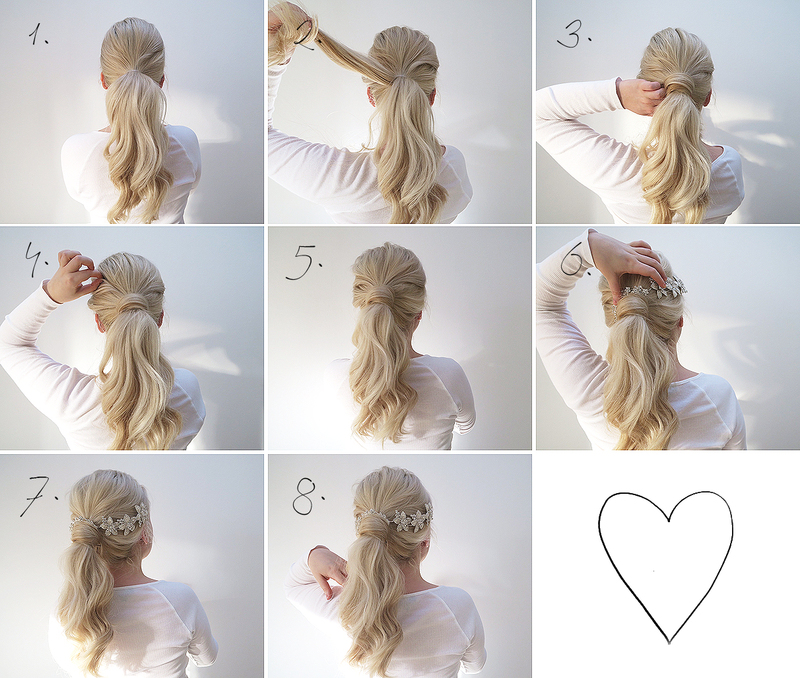 The beautiful hair accessory i use in both of these tutorials is from Johnny Loves Rosie. Lets get started! 1). Start by separating a section of hair just above your ears ( using your thumbs going from your ears to the middle of your head is the easiest way to do it. Then secure it with a clear elastic. 2). Now divide the pony tail you just created into two. 3). Grab the first mini pony tail and tie a hair elastic about two finger widths down. 4). Clip that out of the way like so. 5). Now, do the same to the second split of the pony tail, tie an elastic band 2 finger widths down. 6). Make a little opening with your fingers in between the two hair elastics. 7). 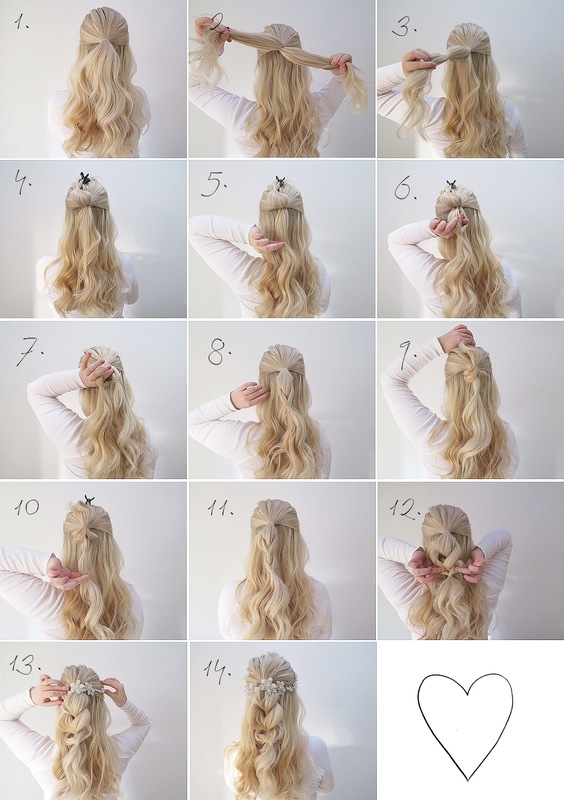 Unclip the top ponytail and pull it through the opening you made in step number 6. 8). It should look something like this! 9). You'll now need to grab the hair elastic that is at the front and clip it out the way. 10). And tie a new elastic band on the ponytail you created underneath. 11). It should look something like this! (don't worry if it looks messy). 12). Now pull the shinanigens out of it, pulling each loop upwards and outwards. 13). Once you've got your desired look, use a hair accessory of your choice to cover the hair band. 14). Tada, you should be done, the trick is to pull it apart as much as possible. 1). Start by curling your hair, i used a 1" barrel curler. Then pop your hair into a mid-high pony tail. 2). Grab a medium to small section of hair from the pony tail. 3). And wrap it around your hair elastic and then clip it in place. I clipped the wrapped hair under the pony tail. 4). Pull the hair from the crown forward to create more body. 5). This is what is may look like, it's completely up to you how much you pull it apart etc. 6). (Optional) Use a hair accessory over the pony tail and clip it in place. 7). + 8). And you are done. It's as simple as that. Literally so elegant with simplicity.